We have strategically combined two of nature’s most potent supplements to offer you this premiere, health-supporting product. 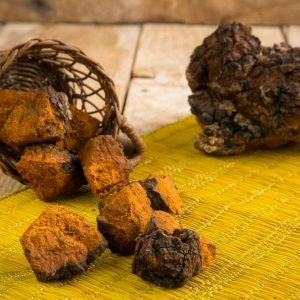 After sourcing our chaga and shilajit from, respectively, Siberia and Altai Mountains, the most prime regions for producing the purest forms of these substances, we utilize specific extraction processes to create the capsules. 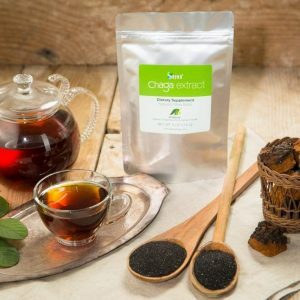 For chaga, we incorporate a hot-water extraction with freeze-dry method that carefully locks in the most critical components of the substance to maximize the benefits you receive. 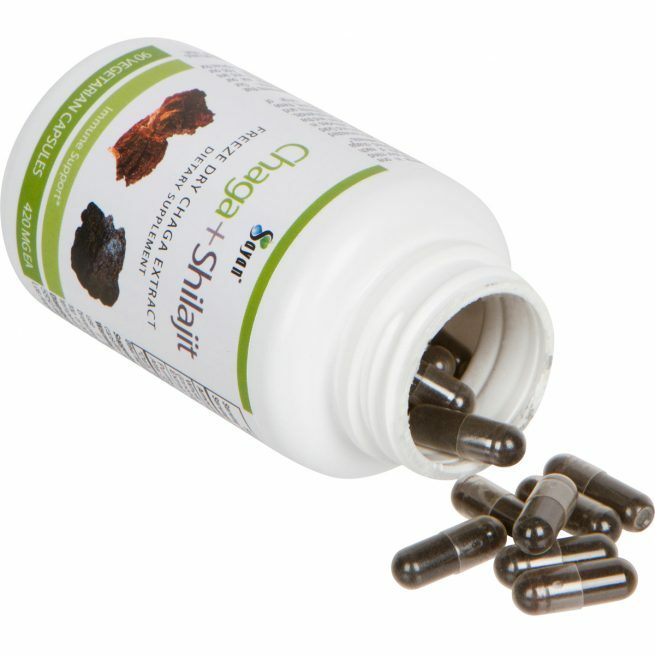 With shilajit, the refining process used involves filtering the extracted solution and evaporating it in a vacuum at 60-62 degrees Celsius until it reaches a concentration of 15-20%. 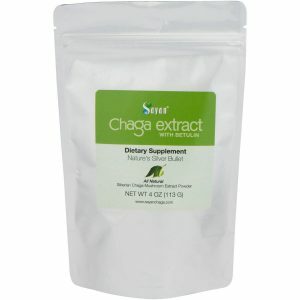 The result is a highly potent and pure powder that fits perfectly with its chaga counterpart. We know that becoming your best self, in mind and body, is a journey. And we are dedicated to support your road to wellness with our all natural, premium chaga-based products. 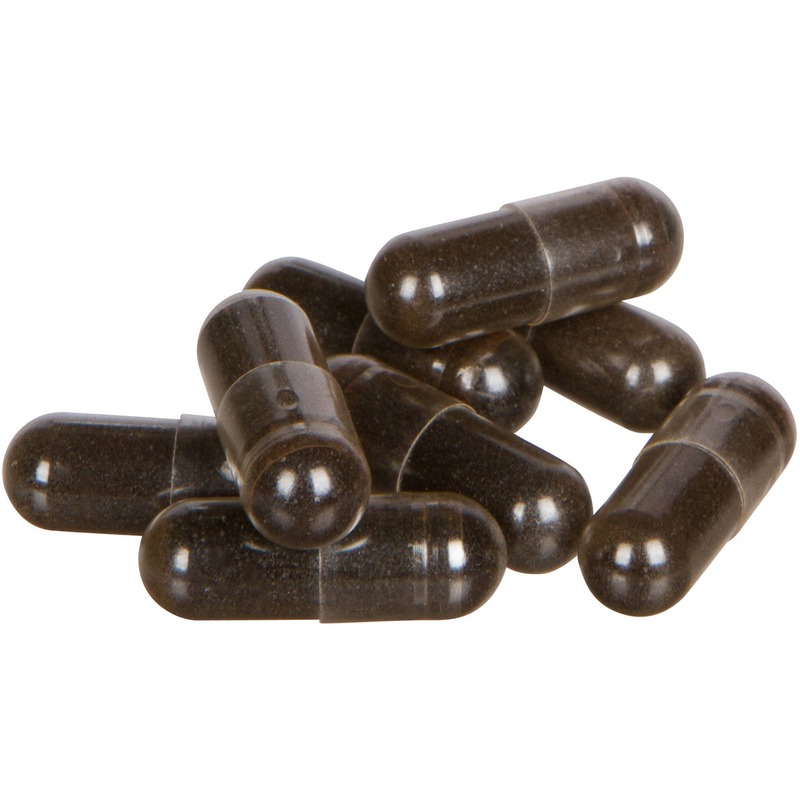 As with the development of all our products, these capsules are vegetarian, GMO-free, and contain no heavy metals. Lab-tested to ensure potency and nutritional quality, are daily capsules are designed to accompany a regimen that includes balanced exercise and nutrition. 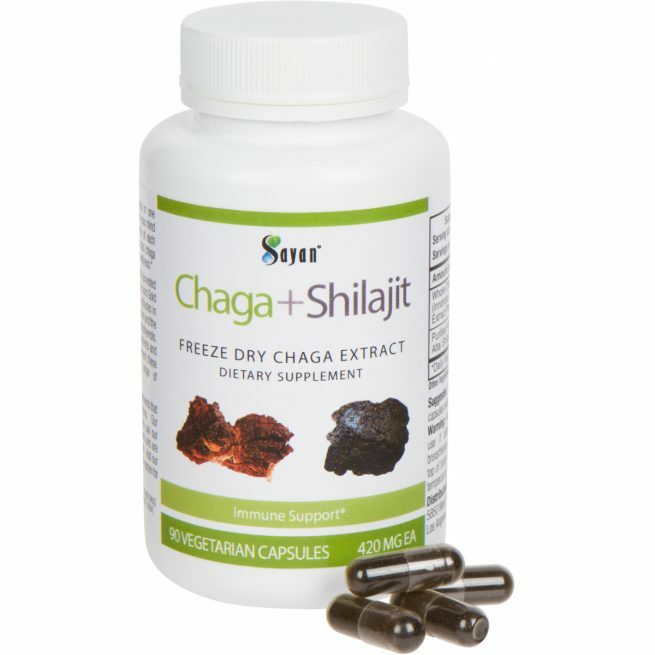 Try our chaga and shilajit capsules today and join our loyal customers across more than 60 countries that trust Sayan name with their health. Packaging: 90 capsules, 400 mg each. Ingredients: Whole Chaga Mushroom (Innonotus obliquus) Extract Powder, Shilajit powder, Vegeterian Capsules. Directions: Take one to three capsules daily before meals. 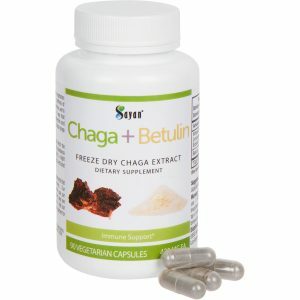 Caution: Avoid taking chaga supplements if you are currently taking penicillin or intravenous injections of glucose, in case of adverse interactions or side effects. We also do not recommend supplements for pregnant or breastfeeding women. Initially, I was too hesitant to opt for this but when I searched and heard good things about others I did not think twice and immediately ordered online. 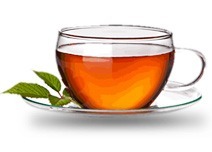 As a result, in just a two or three intake, I started seeing the results. 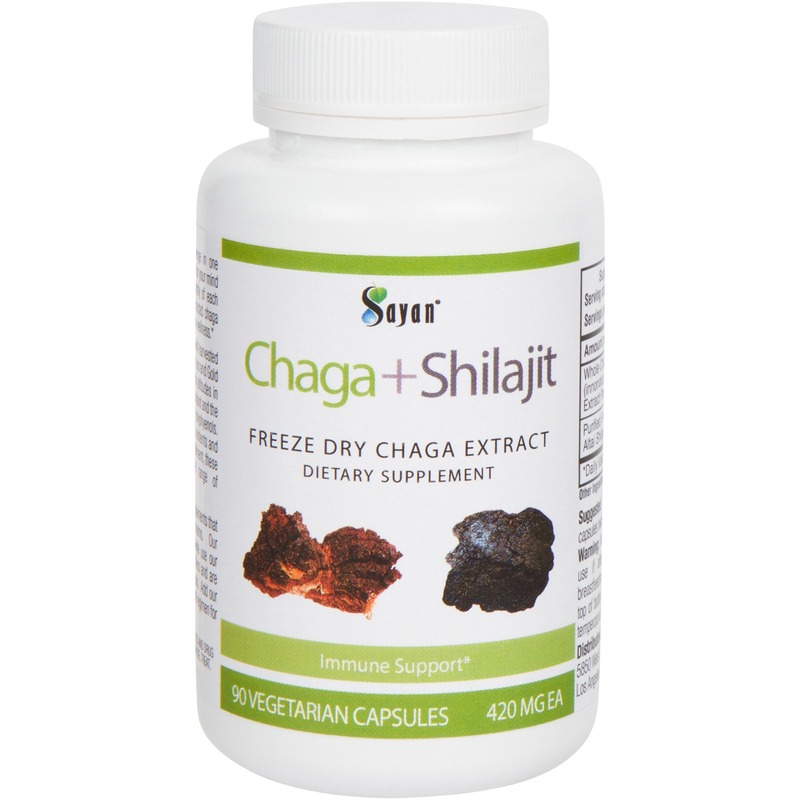 Taking shilajit with chaga has been a miracle for me and certainly helped improving my immunity which unfortunately was missing in ingredients of other brands. 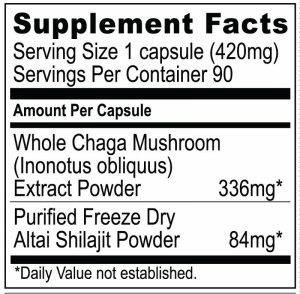 When it comes to preventing and fighting off cold, this product combining Shilajit with chagal mushroom is a key to healthy immune system and I don’t know about any other capsules. I am no longer afraid of catching flu and affecting my work productivity. Winters were never pleasant for me until I found the miraculous product covering goodness of chaga and shilajit. I was amazed to find out that by using it continuously for one week, it decreased my regular doctor’s visit during seasonal vaccines. Taking this regularly has proven successful in reducing my stress levels and boosted my immune system.